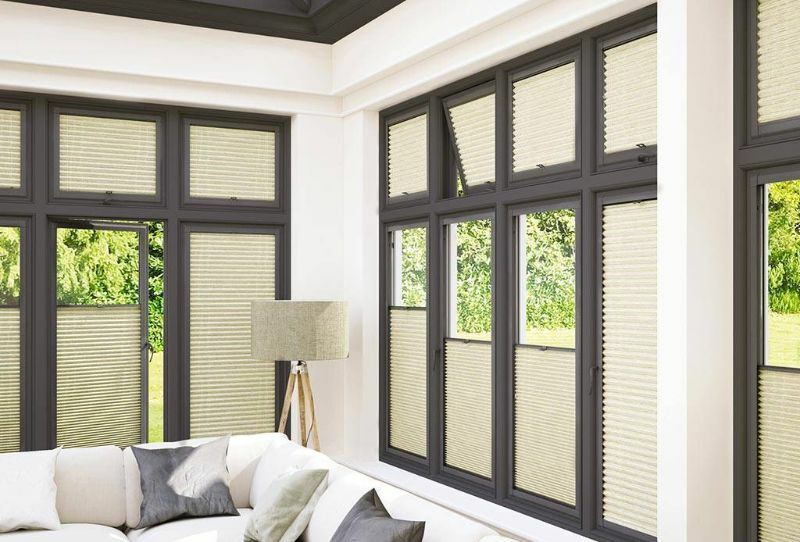 Top quality luxurious natural wood shutters. Heat reflective and Dual Cell fabrics are industry leading. All PVCu components made to last and not discoulour. 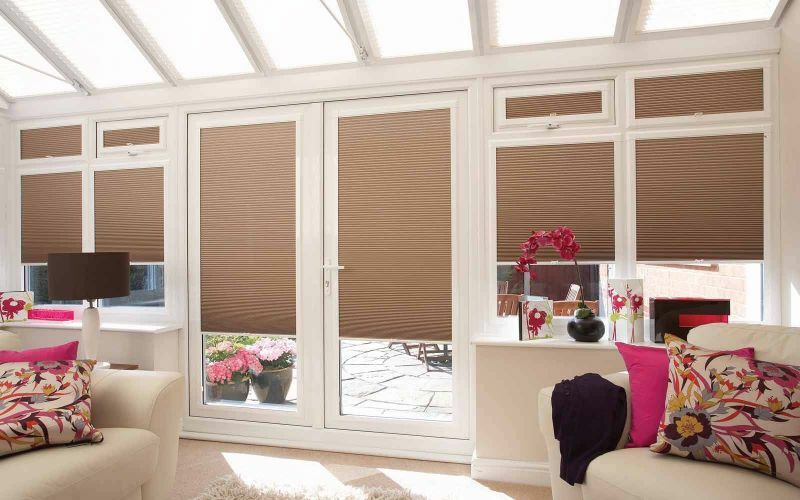 Separate frame and blind for each glass pane makes your blinds look part of the conservatory. 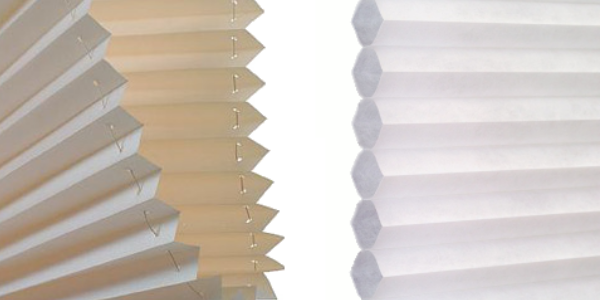 Using only the best fabrics and components these pleated blinds are buil to last for amny years. 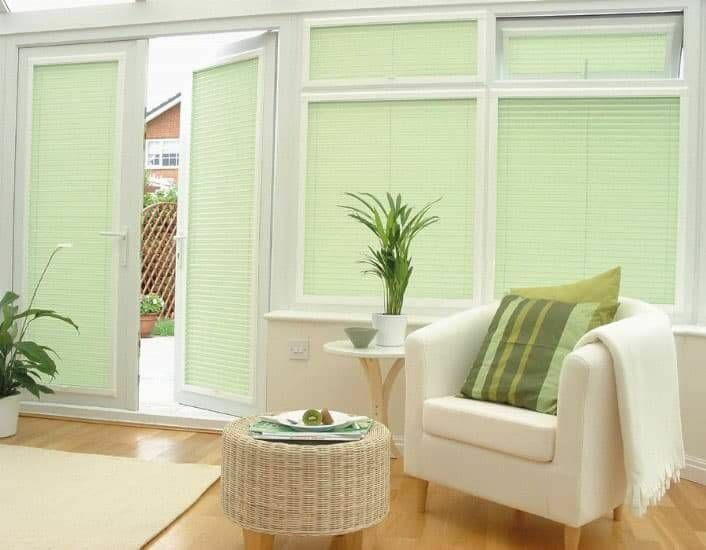 We will help you design, we will measure and get your pleated blinds manufactured to the exact size and fit them as well. And don't forget we have a showroom with a landline number should you need to get hold of us. 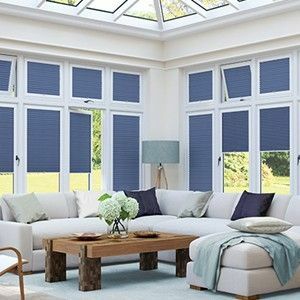 Abergele Blinds' pleated blinds will liven up your windows and conservatory and together with Perfect-Fit frames the blinds become part of the window. Available to fit into a variety of window and door systems, Abergele Blinds selects only high quality materials including single and double pleat fabrics and fabbrics with heat-reflective properties to ensure you get the ultimate performance from your blind to help keep your conservatory cooler in summer and warmer in winter. 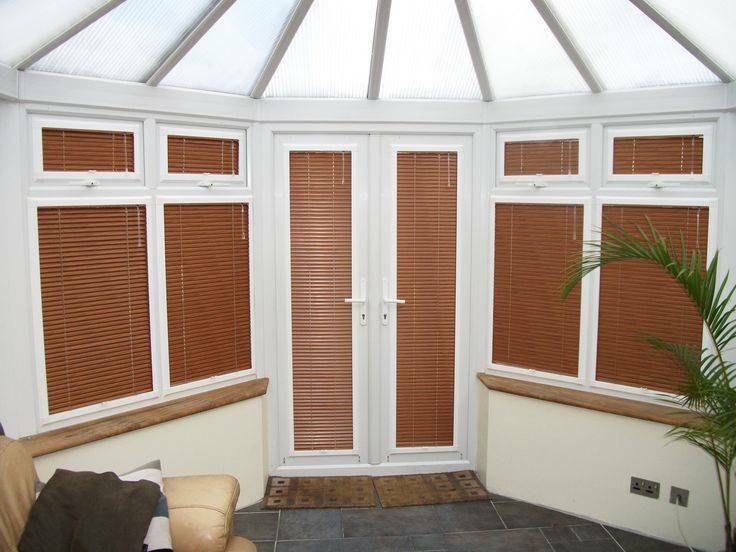 Pleated blinds in the conservatory with our Perfect-Fit frames is the best solution for any size and shape of conservatory. 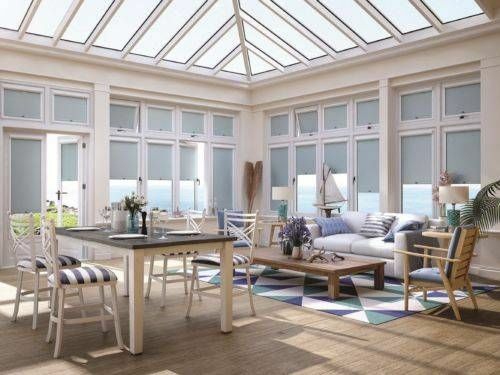 A separate blind and Perfect-Fit frame is required for each glass panel of each window, the blinds become part of the conservatory, even on the opening windows or doors as the blind moves with it. 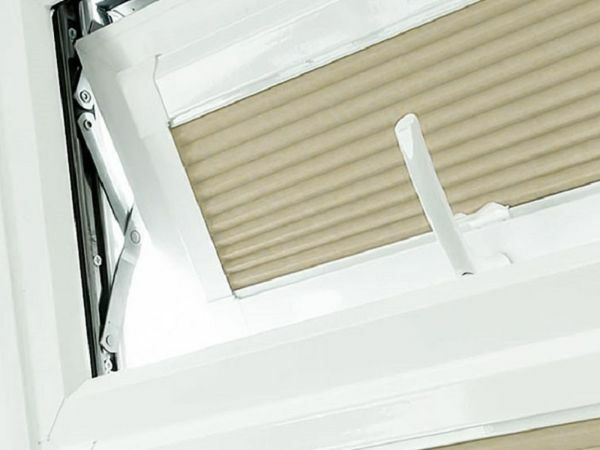 Doors have traditionally been a problem for all types of blinds but now Pleated blinds with a Perfect-Fit frame problem is solved. The blind and the Perfect-Fit frame becomes a cassette that clips onto the glass pane of the door, the blind then becomes part of the door and moves with it when the door is opened and closed. Not only an ideal solution but looks great too. 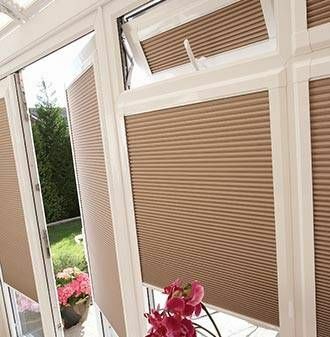 Pleated blinds with a Perfect-Fit frame is our reccomendation and together with the Double Pleated fabric (as shown above) looks simply stunning. 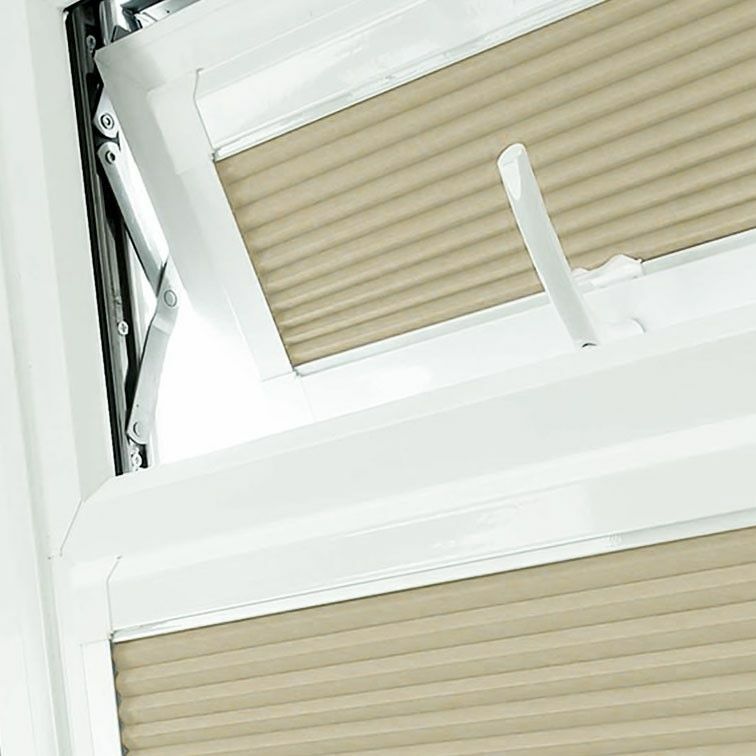 The Perfect-Fit system means that each blind has a frame that clips onto brackets that are slid behind the rubber seals of your windows creating the appearance the blind is part of the window. 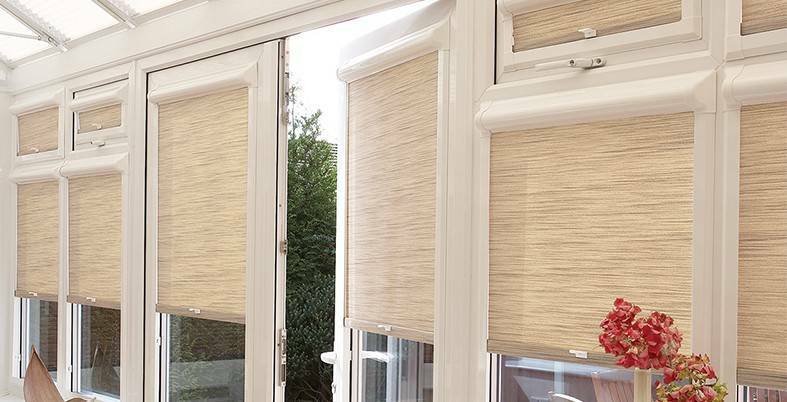 Ideal for any window, conservatory or door. 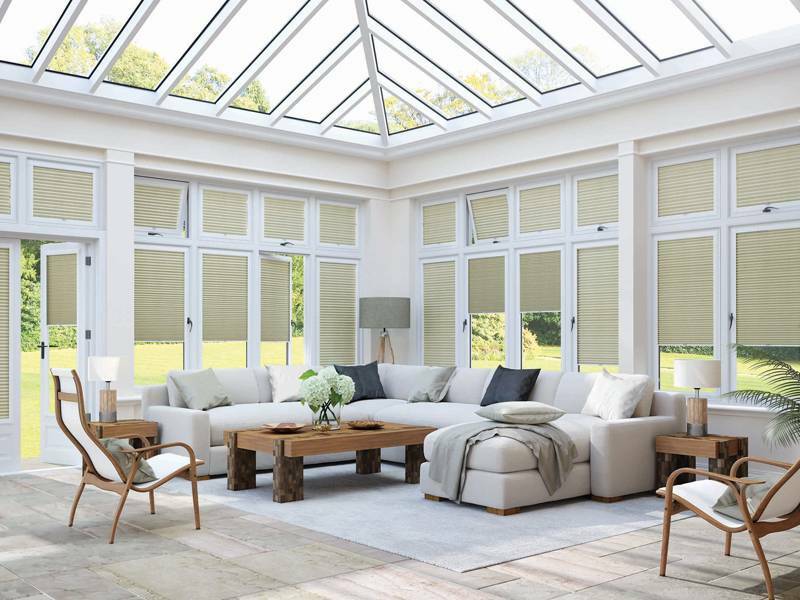 Pleated blind fabrics come in varying styles and compositions, ranging from decorative patterned to subtle shades to performance fabrics thast will help keep your conservatory warmer in the winter as well as cooler in the summer. 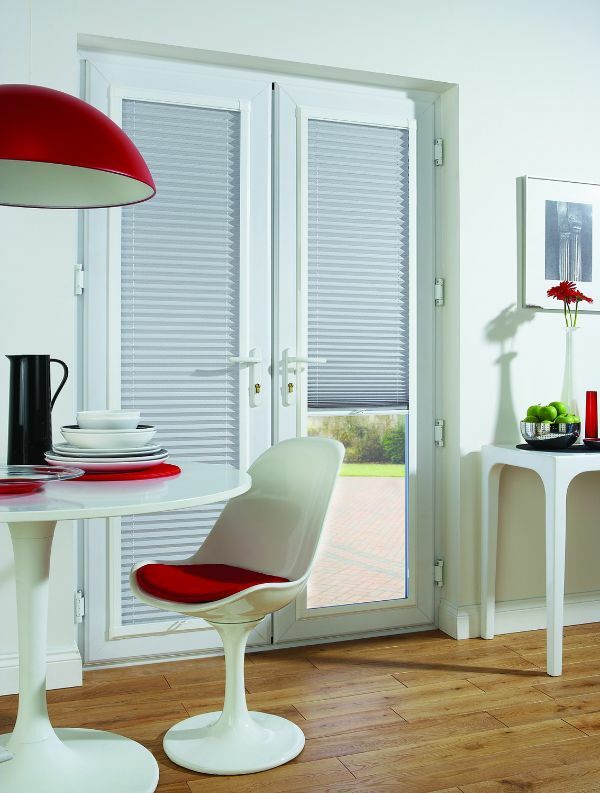 Double Pleat or Celled fabrics offer the ultimate in style as all of the holes are hidden from view as cords necesary for the control of the blind.